One great benefit of having some interest in the sky during sunrise or sunset is the opportunity to photograph a scene at different times, and be able to come away with more than one acceptable image. On this particular morning, there was very nice cloud cover above Lake Tahoe. Hoping to make the best of the situation, I set up to photograph not only at sunrise, but also just before and after sunrise. I also used different filter techniques to photograph each moment, so I could capture multiple effects. 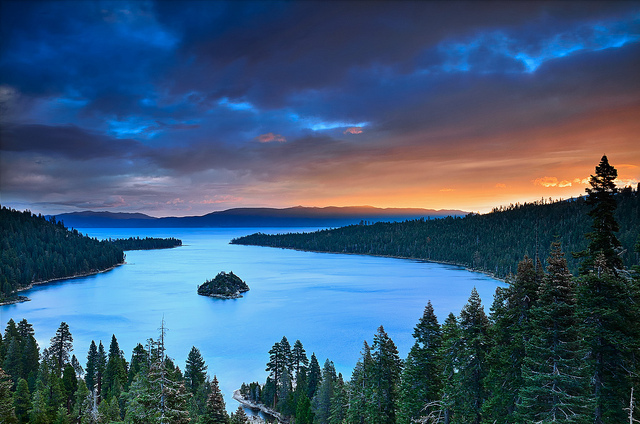 For this image I used a 10-stop ND filter, to show the effect of streaking pre-sunrise clouds above Emerald Bay. When shooting in the direction of the sun, I like to use a long exposure to obtain this streaking cloud effect just before sunrise and also after sunset, through twilight. 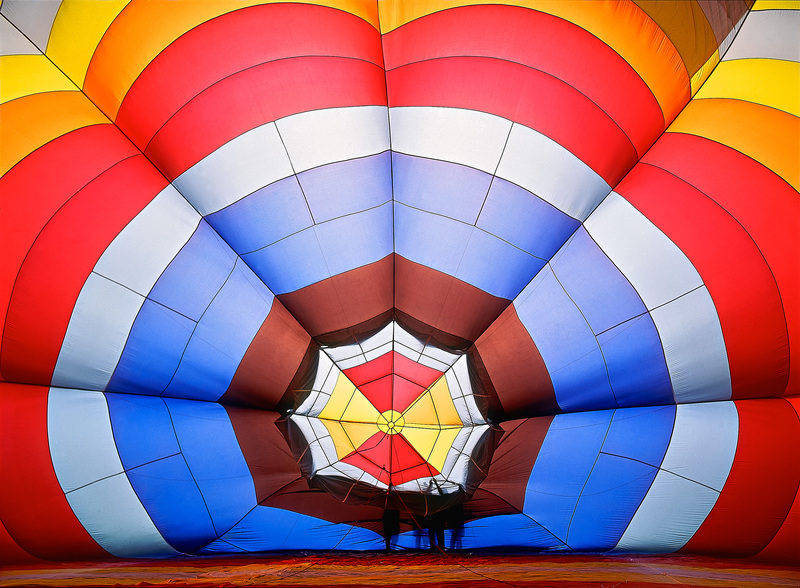 This entry was posted in Commentary, Photography, Travel, Tutorials/How To and tagged california, cokin, color, commentary, david shield photography, eastern sierras, emerald bay, lake tahoe, landscape photography, light, long exposure, nature, sunrise, travel, twilight on November 13, 2014 by davidshieldphotography. Landscape photography can be all about catching a beautiful or dramatic fleeting moment. However, there are also times when a photographer is presented with an opportunity to take the time to look at a particular scene and determine the best way to capture an image which conveys a specific look or feeling. In this instance of looking through the camera’s viewfinder, a landscape photographer is looking at the whole picture. In this image of the dead tree at Botany Bay, I had enough time to compose the image exactly the way I wanted, so I could convey the feeling of motion I felt, and the different texture effects that were being created, within the frame. I was able to take several different exposures of this scene, before carefully reviewing each shot once I returned home. I decided that this 4-second exposure best conveyed the elements of the whole picture I witnessed while photographing this scene. 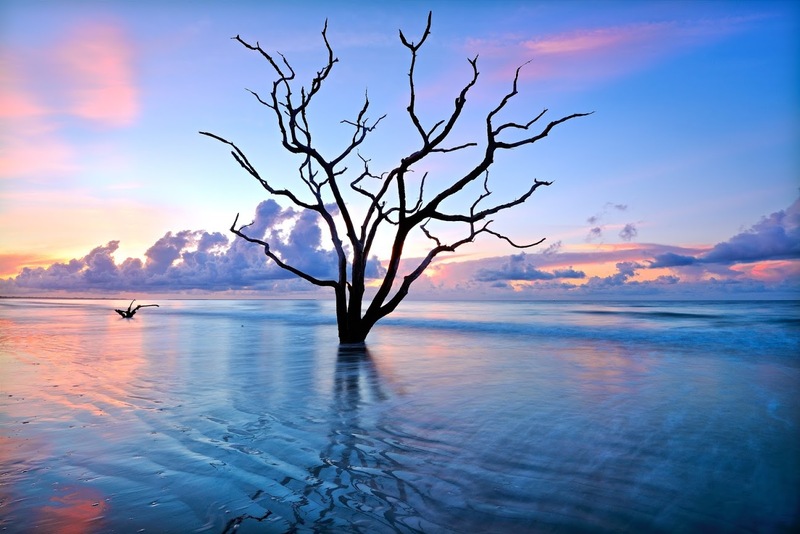 This entry was posted in Photography, Travel and tagged adventure, atlantic ocean, beach, botany bay, coast, color, david shield photography, edisto island, landscape photography, seascape photography, south carolina, sunrise, travel, trees on September 15, 2014 by davidshieldphotography. Just four individually focused exposures were needed to create this image. Typically used during post-processing of macro photography, Zerene image stacking software processes multiple images taken of a single composition to create a completely in-focus output image. Being a Landscape Photographer, I was curious if this concept would work for the type of images I capture. After using Zerene focus stacking software, I am now convinced that I am on to a really good thing, and in part one of my review I will explain why Zerene Stacker can be an invaluable tool for much more than just macro photography. I have added “Part One” to this review title simply because I have used the software to process just a couple of images so far. I intend to photograph and process more images using Zerene Stacker, which will allow me to fully illustrate the software’s limitless potential, in this field. First lets take a quick look at the Zerene Stacker interface. The Add Source Files dialog box will appear, from where you will simply select and upload images from the location they are saved in. The number of images uploaded for each project will depend on the number of focus points you have photographed of that particular scene. I recommend a series of at least three shots, at different focus points when photographing a landscape. One advantage of using focus-stacking software for landscape photography is you will not need to take many shots to process a completely sharp image in Zerene Stacker, for most scenes. This means that after a short learning curve, you will have the ability to process images with more impact in just a short amount of time. Once the all important stacking step is completed, it is time to use the program’s Retouching Tool. 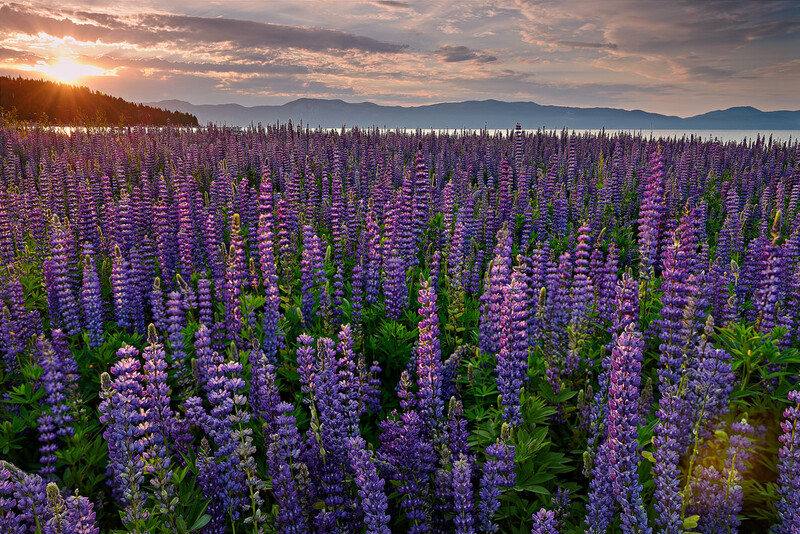 With just a little time and concentration, this is where you will eliminate any artifacts and image-stutter, which are a result of moving elements in the scene such as clouds or in this case lupines blowing in the wind. For this step you will need to magnify both images. I use a setting of 100%, which allows me to easily see details, while quickly scrolling through all parts of the image. 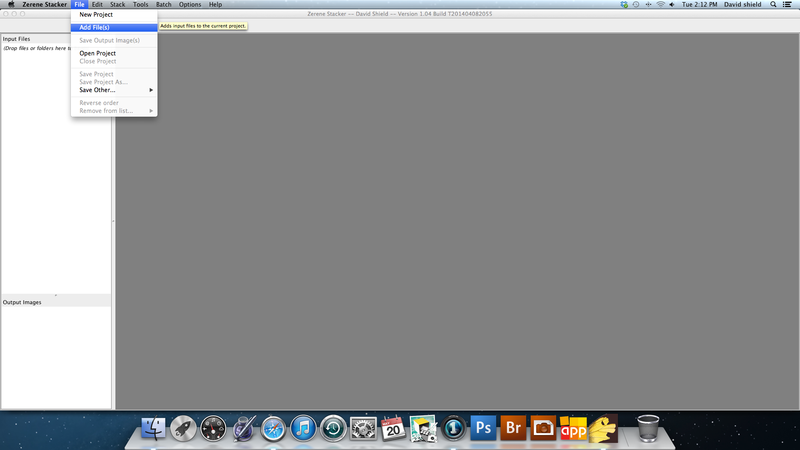 Each file on the left of the screen represents each individually focused shot. 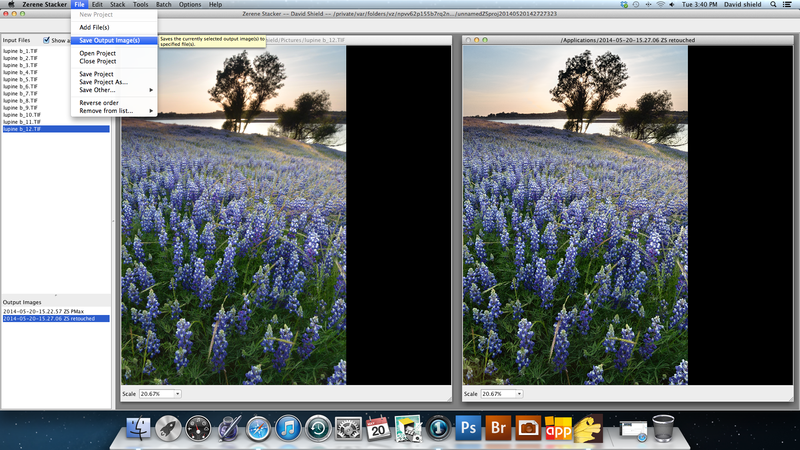 Simply match the best focused shot with the area of the image on the right you are using the Retouching Tool. The tool itself is very easy to use. Just like the Paintbrush Tool found in Photoshop and Lightroom, simply brush over any area that has been effected by movement or wind. 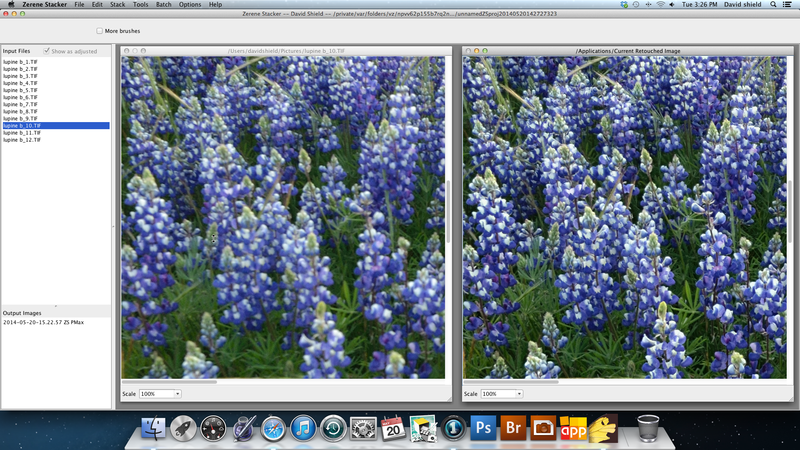 When zooming into the lupine image, I was able to see and correct several areas effected by motion-stuttering. Using your mouse, you can easily control the size of the brush area, on the fly. 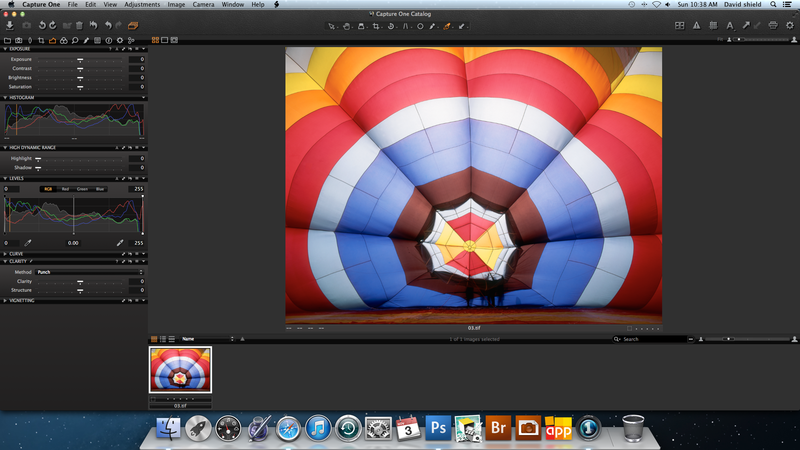 Once you have finished retouching the image, go to Edit>Commit Retouching. Your image will then appear in the column at the left of the screen, under Output Images “Retouched.” Not all projects will require retouching. 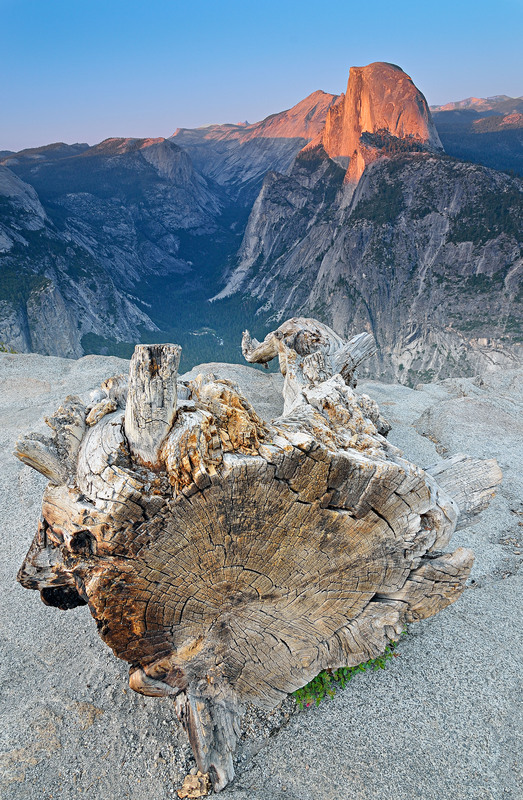 For example, the image near the top of this review of the tree and Half Dome includes features that were not affected by wind or movement, during the time it took to capture the series of shots needed. 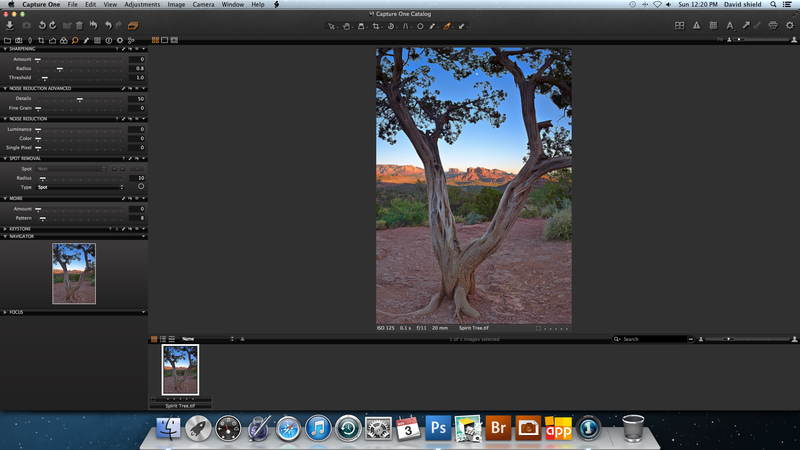 For some reason this screenshot did not record the Retouching Tool Brush. Click here Landscape Tutorial Page and look at the forth image to see an example illustration of the Brush Tool in action. 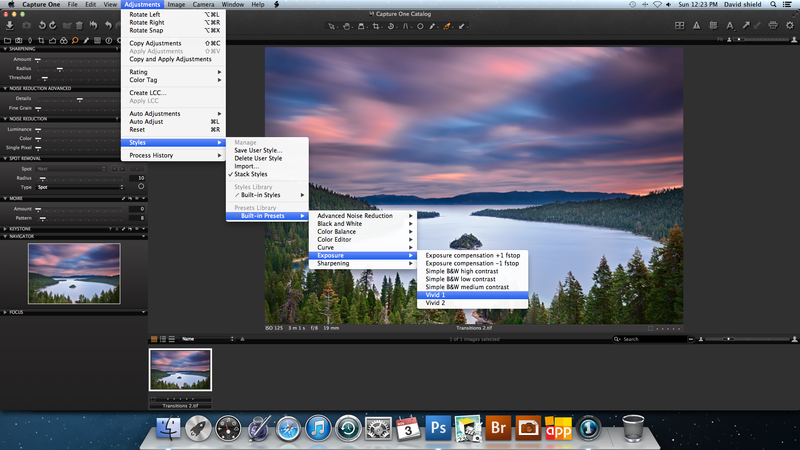 Save Output Images will open the output options window. 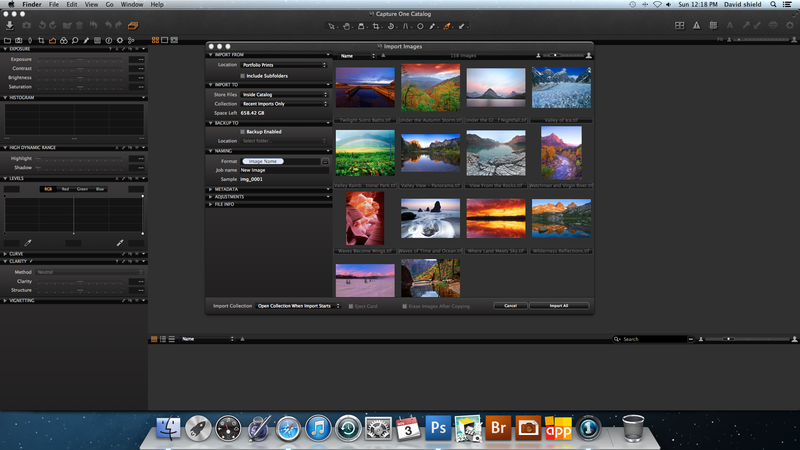 From here you will choose the output file size and type that matches the workflow you typically use. 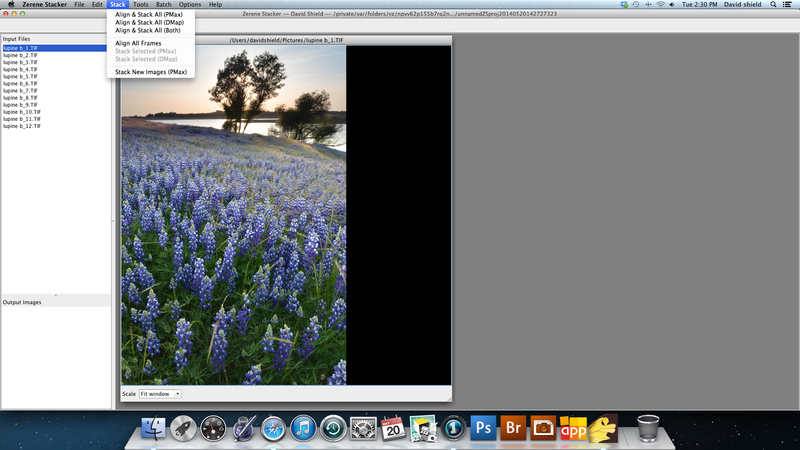 My preferred settings are to save each new image as a TIFF file, at 300 ppi. Next, chose a location on your computer where you wish to save the new file. 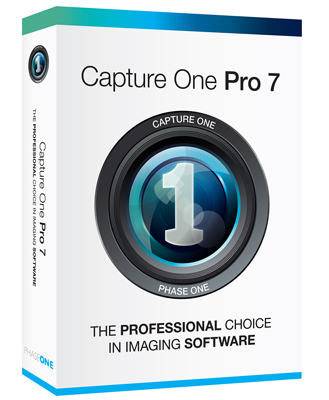 This will be the location where you will open your stacked file for further post-processing such as color correction and sharpening. 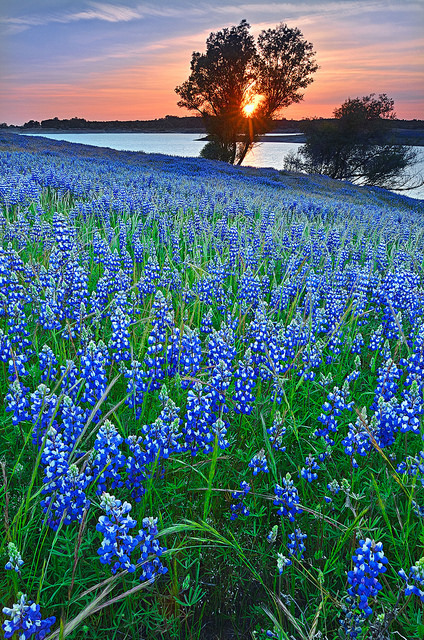 This entry was posted in Photography, Product Review, Travel, Tutorials/How To and tagged flowers, landscape, landscape photography, national park, nature, photography, product review, travel, tutorial, zerene stacker on June 10, 2014 by davidshieldphotography.